Followers of my blog will know that there are a couple of more obscure wines I follow with close interest and try and feature regularly. One such wine is the poor cousin in Burgundy, Aligoté. With the stellar rise of prices across Burgundy over the past decade, every plot of land has had to pay its way and that includes gnarled old plots of once unfashionable Aligoté. But of course, the grape is experiencing a complete renaissance, one that I am following with great interest. At a recent new release En-primeur 2017 tasting, I had the pleasure to meet Nicolas Faure, a passionate and driven winemaker running a small negociant business alongside an equally small domaine in Meuilley in the Hautes Cotes de Nuits. But he is also a member of a 50+ producer grouping called “Les Aligotéurs” who champion top premium quality Aligoté from Burgundy. Created by the French Chef Philippe Delacourcelle and winemakers Sylvain Pataille, Laurent Fournier, Pablo Chevrot, Anne Morey and Nicolas Faure, members are required to have some track record of Aligoté production and the wines need to be quality wines of note. April 2018 saw the first professional meeting of Les Aligotéurs in Burgundy in Flagey-Echezeaux. Nicolas’s 2017 is another worthy addition to the premium ranks of collectable Aligoté. Nicolas Faure Bourgogne Aligoté ‘La Corvee de Bully’ 2017, 13 Abv. Jean-Marc Millot based in Nuits-Saint-Georges has been making elegant, understated, classical red Burgundy wines for several decades but is seldom mentioned in the critic’s lists of winemakers / wineries to watch out for… until recently. But the last couple of years has seen Jean-Marc joined by his daughter Alix Millot as the baton is slowly passed on to the next generation. Working a 9.43 hectare estate, Jean-François Coche took over his father Georges’ Domaine in 1973 to continue the production of some of the most profound and individual whites and reds in the whole of Burgundy. Officially retiring in 2010, he still makes his presence felt alongside his son Raphaël and wife Charline who have taken over winemaking duties. The Domaine shows meticulous attention to detail with every stage of picking and winemaking, often resulting in very low yields that produce wines with incredible intensity, precision, and individual character. If Domaine de la Romanee-Conti produces the most sought after reds in Burgundy, Domaine Coche-Dury undoubtedly produces the region’s most sought after whites. The white Chardonnay vineyards cultivated by the estate include 0.34 hectares of Grand Cru Vineyard Corton-Charlemagne which was acquired in 1986 and three holdings of Premier Cru vineyards in Meursault with 0.20 hectares in Perriéres, 0.07 hectares in Caillerets and 0.08 hectares in Genevriéres. Village classified vineyard holdings consist of 0.05 hectares of Chevalières and 0.29 hectares of Rougeots, both in Meursault, plus 0.20 hectares of the Puligny-Montrachet based Les Enseignières vineyard acquired in 1985. But perhaps few grapes have been as scorned in Burgundy in the last 25 years as Aligoté, often being described as thin, acidic and insipid, capable of nothing better than serving as the historical base for a kir, in which white wine is flavoured with creme de cassis. But many of Burgundy’s most revered names, including cherished estates like Coche-Dury, Leroy, Roulot and Ramonet, Lafarge and d’Angerville, de Villaine, Ligier-Belair and Ponsot, persist in growing Aligoté. Why? Because, when the grapes are farmed conscientiously with intent and the wines are made with precision and attention to detail, they can be deliciously distinctive, full of the energy, salinity and minerality that are the hallmarks of Aligoté. Domaine Coche-Dury believes strongly that the white wines of Burgundy should have core nerve, and theirs are never amongst the ripest or highest in alcohol. It is their vibrant acidity, often hidden in their opulence that helps them to age so successfully and predictably and that includes their Aligoté. Another beautifully expressive white from Domaine Coche-Dury. Made from Aligoté vines located behind the family home, it has a wonderfully fragrant nose of spiced crunchy green pears, white blossoms, buttered pastries and lime pastille sweets. There are some hallmark Coche-Dury struck match reductive notes but they are certainly finely integrated and secondary to the wine’s citrus fruits, green apple and liquid mineral intensity. The palate feels round and opulently textured in the mouth with a fine lemon / lime cordial acid line cutting cleanly through the lovely lemon curd and salty apple purée concentration. 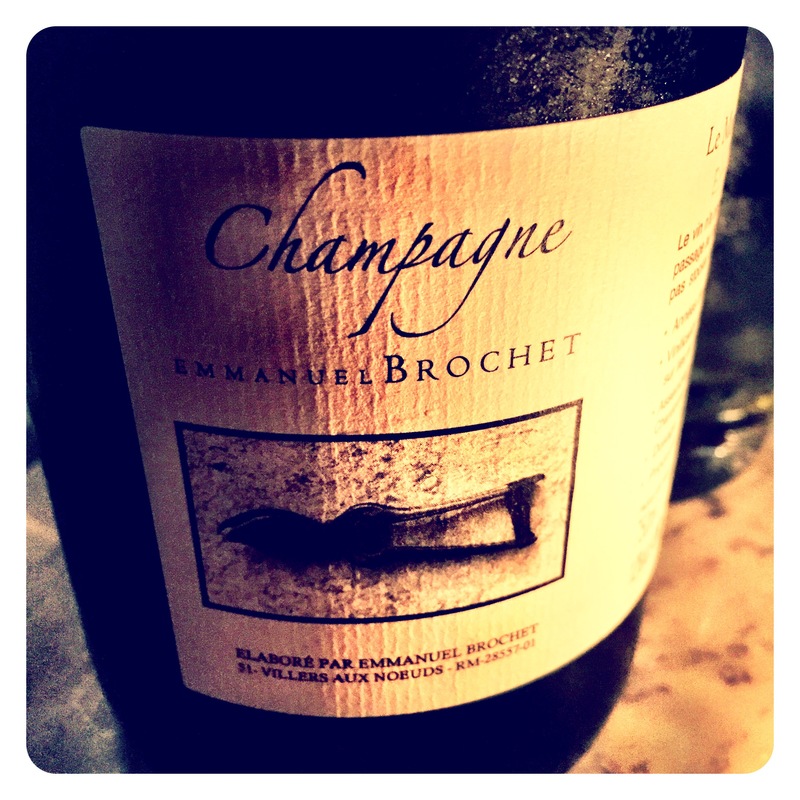 Superb depth, intensity and Aligoté varietal personality. I struggle to think of a better example of this variety. Drink now or cellar for another 3 to 5+ years. Thibault Liger-Belair is cousin to the more famous Vicomte Liger-Belair of Vosne Romanée. In 2002 he took over an older family property in Nuits St Georges taking back the vines which had been previously leased out to various other smaller growers. He promptly rented a winery just down the road and now produces an iconic range of wines including sought after wines from Grand Crus Richebourg and Clos de Vougeot to prestigious Nuits St Georges reds like 1er Cru Les Saint Georges. The domaine’s vines are certified organic and farmed biodynamically, with horses used to plough the vineyards where possible. 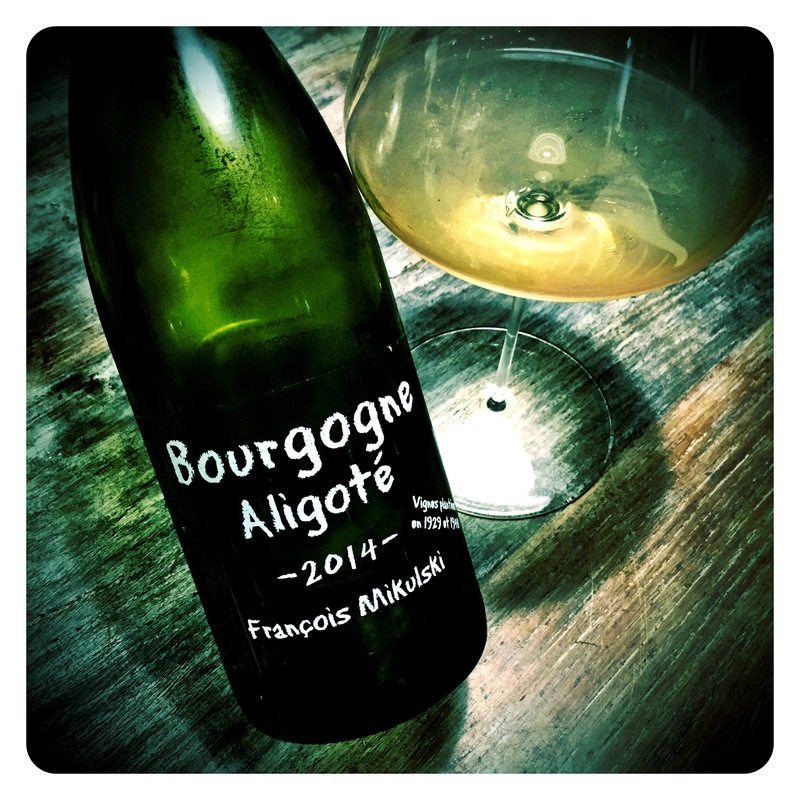 The fact that Thibault’s Grand Vin reds are increasingly hard to access has lead to a growing following for both his delicious Aligoté whites as well as his bold and impressive Cru Beaujolais reds. This wine is produced from grapes grown on a parcel located in Nuits St Georges bordering the Village appellation of Nuits Saint Georges “les Argilats”. The vineyards were converted to organics as soon as Thibault took them over. 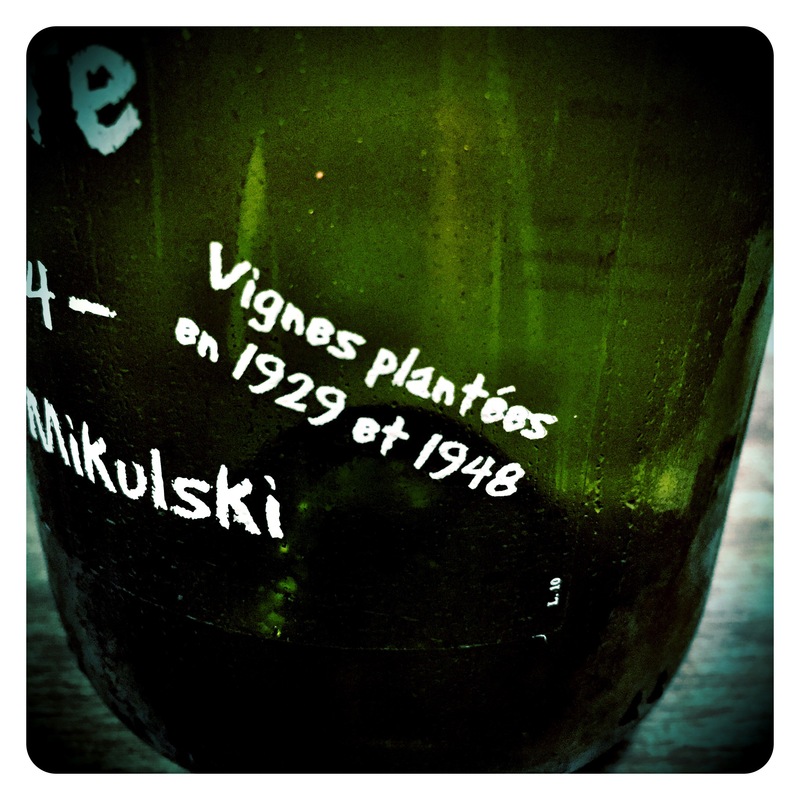 The vines were planted in 1978 and offer some mature and impressively aromatic Aligoté. The limestone soils give this wine great length and certainly greater intensity than would normally be expected from this appellation. Domaine Thibault Liger-Belair Bourgogne Aligoté 2014 Clos des Perrieres La Combe, 13 Abv. A wonderfully vibrant fresh Aligoté expression showing archetypal pithy aromatics of citrus blossom, pear purée, green apples, pithy yellow grapefruit and seductive crushed limestone and chalky minerality. You just don’t usually expect too much complexity on an Aligoté but this wine is nuanced and beautifully animated. The palate has a wonderful elegance and silky light touch, is precisely fresh but not tart, and well balanced with a fine, elegant line of citric acidity together with delicious notes of orange blossom, tangerine peel and apple pastille sweets. A superb vintage delivering wonderful vibrancy, elegant under spoken concentration and a flavourful, liquid mineral finish. Drink now and over the next 3 to 5 years. Jean Marc has been in charge of his family’s small domaine for nearly two decades now. He has combined his experience with a relatively new chai at Nuits Saint Georges and is coming out with some very solid wines indeed. There is a tendency to pick a little later (though never the last for the Cotes de Nuits Villages), use careful selection and then vinify in the natural way. There is just a little new oak on the Grand Crus and the Suchots but the wines rely on a very natural feel and intensity of fruit. The Cotes de Nuits Villages has been a great value wine for some years. Jean Marc and Christine’s second daughter, Alix is making her mark … this is her fourth vintage and the wines have now become highly prized both in Europe, America and Asia. Jean Marc is also dabbling with a delicious new Amphora wine made with bought-in Aligote grapes and was kind enough to include a sample bottle in his 2016 red Burgundy sample shipment sent over for his annual London En-primeur tasting. Still bright lemon yellow with a hint of haze, this is an exotic Aligote brimming with energy and character. The aromatics are quite lifted and phenolic, showing notes of baked apples, apple skins, pear purée and a savoury, earthy, white pepper, yellow pastille fruit intensity. This wine is still in amphora and so retains a vibrant crunchy green fruit concentration, plush fleshy depth, nervy energy, and a most delicious sweet apple bon bon finish. While not a finished wine yet, if Jean Marc can preserve the impressive textural breadth at bottling, this is going to be an absolute cracker that should make natural wine geeks week at the knees. With the Burgundy En-primeur 2015 campaign lurking just around the corner in the UK wine trade, it seemed an opportune moment to be reminded why Burgundy is such a special region and why it’s wines can be mesmerisingly good. 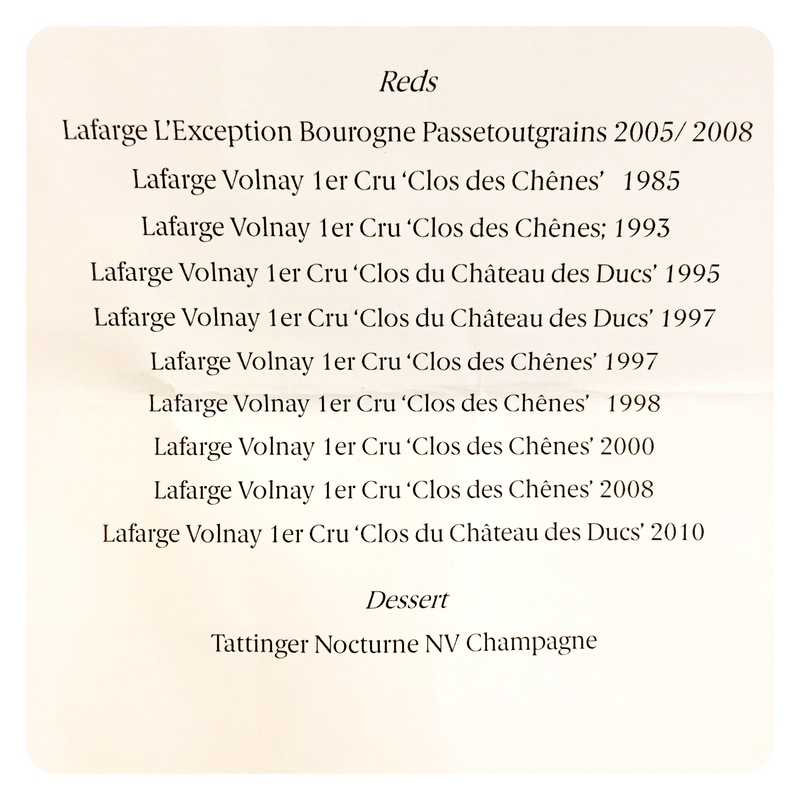 Last night I attended a private vertical tasting of Domaine Lafarge wines at the trendiest wine bar in London, Noble Rot, as a guest of owners Dan Keeling and Mark Andrew. 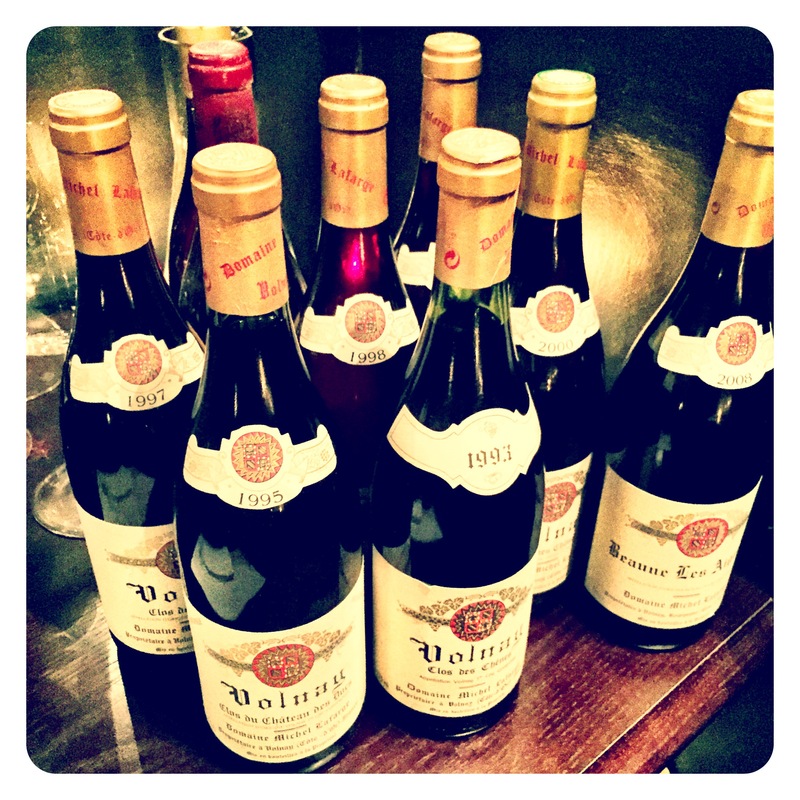 On display was a tantalising list of some of the finest Cotes de Beaune reds ever produced. Indeed, along with Marquis d’Angerville, Domaine Lafarge probably produces the finest Volnay reds known to man. 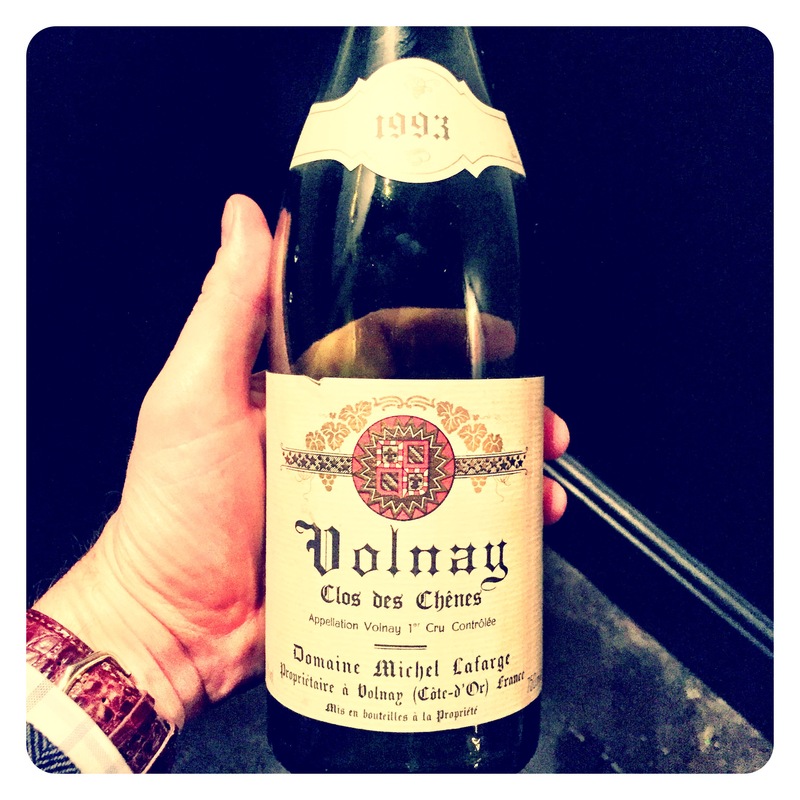 With numerous poor, low yielding vintages over the past 5 years, the wines of Volnay have become somewhat of a rarity on wine merchants shelves. So getting to taste multiple vintages of the most famous vineyards back to the 80’s was a real privilege. 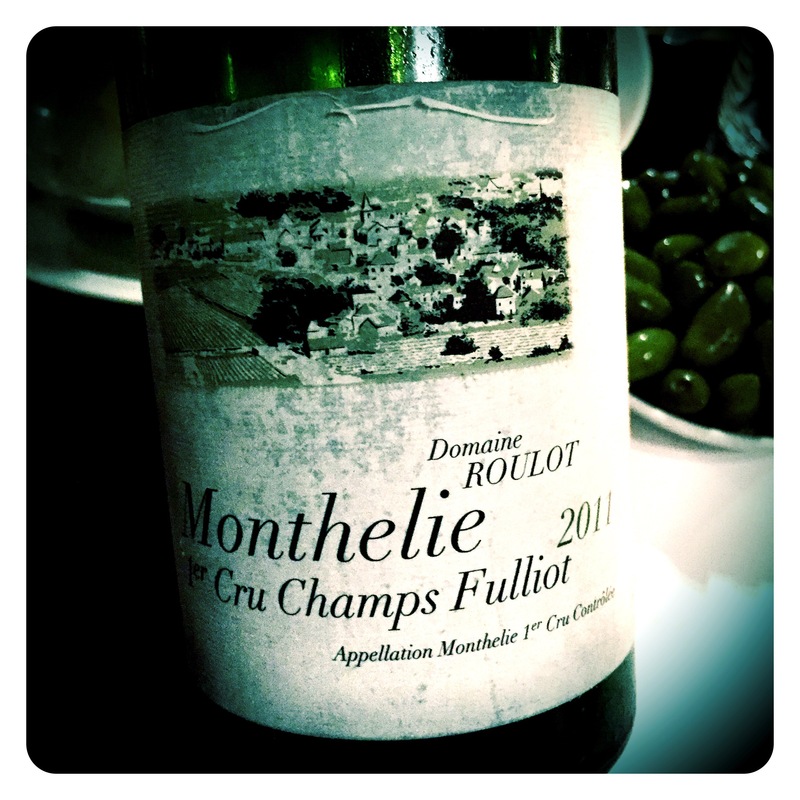 After a duo of palate cleansers in the way of Champagne Emmanuel Brochet Brut Le Mont Benoit 1er Cru NV (92/100) and Domaine Roulot Monthelie 1er Cru Champs Fulliot 2011 (91/100) matched with native oysters, we were ready for our Lafarge journey to commence. Lafarge have around 10 hectares of vines on some of the very best sites in Volnay, managed on biodynamic principles. Many of their vines are mature but not excessively old and yields are generally low. Very little new oak is used and the wines are handled as little as possible, with only a couple of rackings, a light fining and normally no filtration pre-bottling. I have recently written a lot about the rising popularity of both Aligote and Gamay, so the Lafarge old vine Aligote Raisins Dores 2009 (88+/100) was a good starting point. 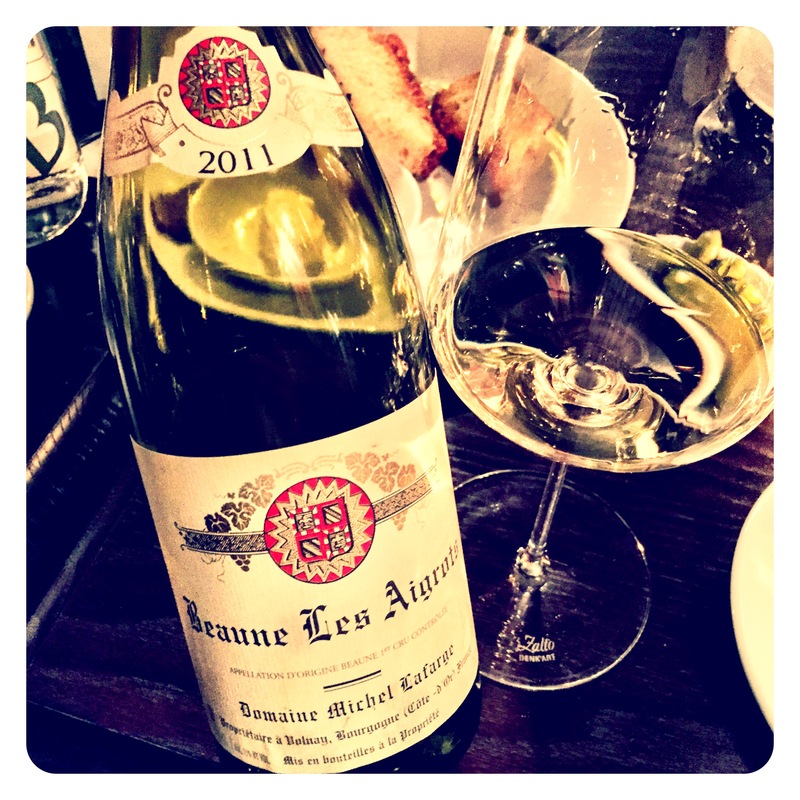 Not particularly known for their whites, Lafarge’s Meursault and 1er Cru Beaune Les Aigrots can be quite accomplished wines. The Aigrots 2011 was fresh and mineral laced with plenty of stoney yellow fruit (89/100). A little Gamay / Pinot Noir Passetoutgrain 2008 (88/100) blend readied our palates for 9 fantastic 1er Cru wines from Clos des Chenes and Clos des Chateau des Ducs Monopole. The highlight of the night was undoubtedly the older Clos des Chenes pairing of 1985 (97+/100) and 1993 (96/100). Both wines showed incredible precision, perfume, finesse and seamlessly sweet, pure red forest fruits. Such profound harmony and balance. Pinnacles of achievement in Volnay. 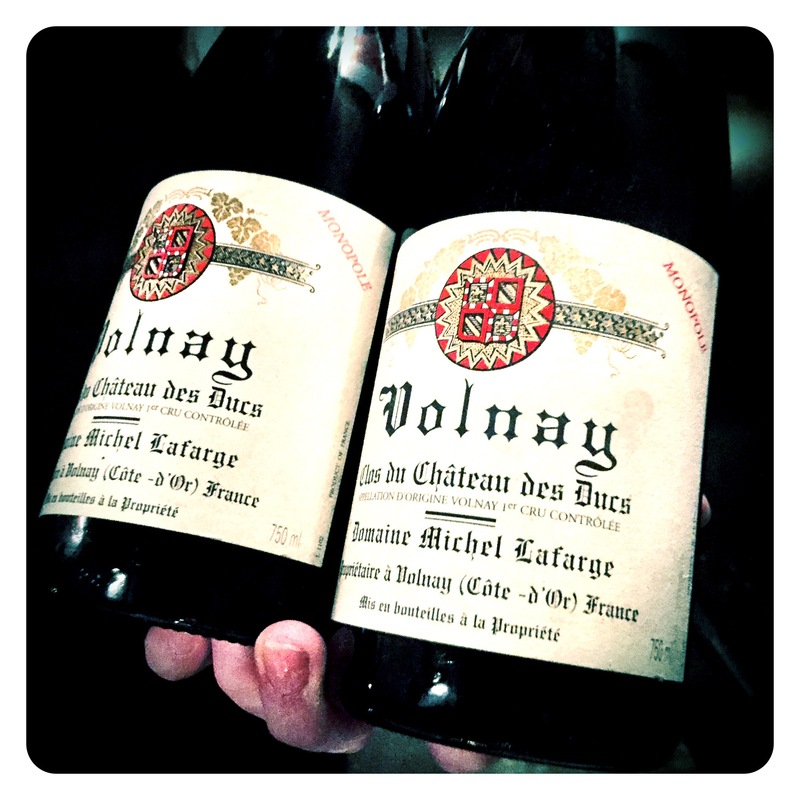 A wonderful evening with such beautiful Volnay wines and not a single disappointment. Thank you Dan and Mark. 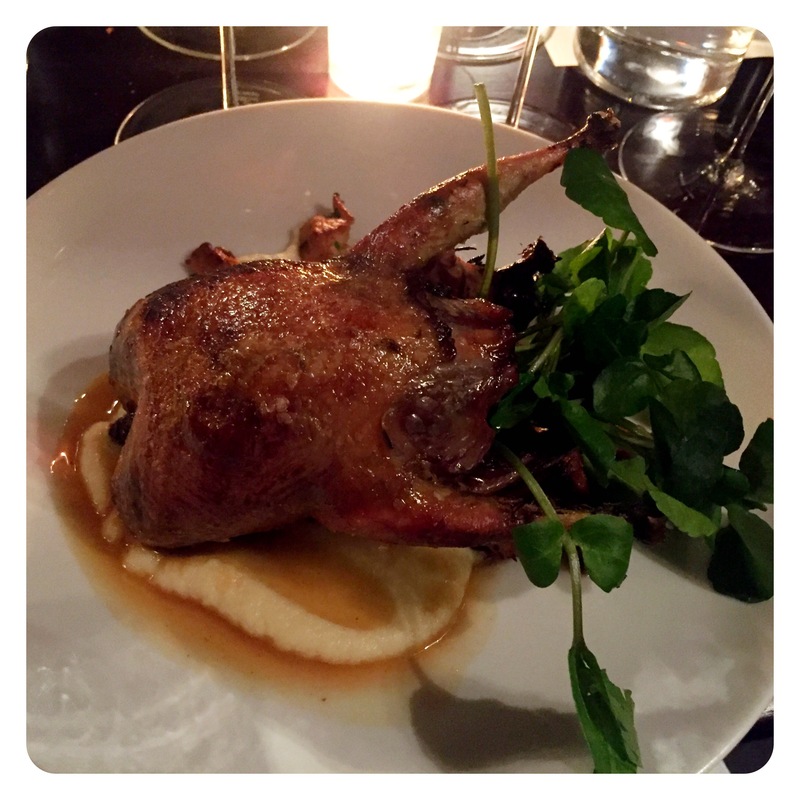 Noble Rot Restaurant and Wine Bar is located at 51 Lamb’s Conduit Street, London WC1N 3NB. 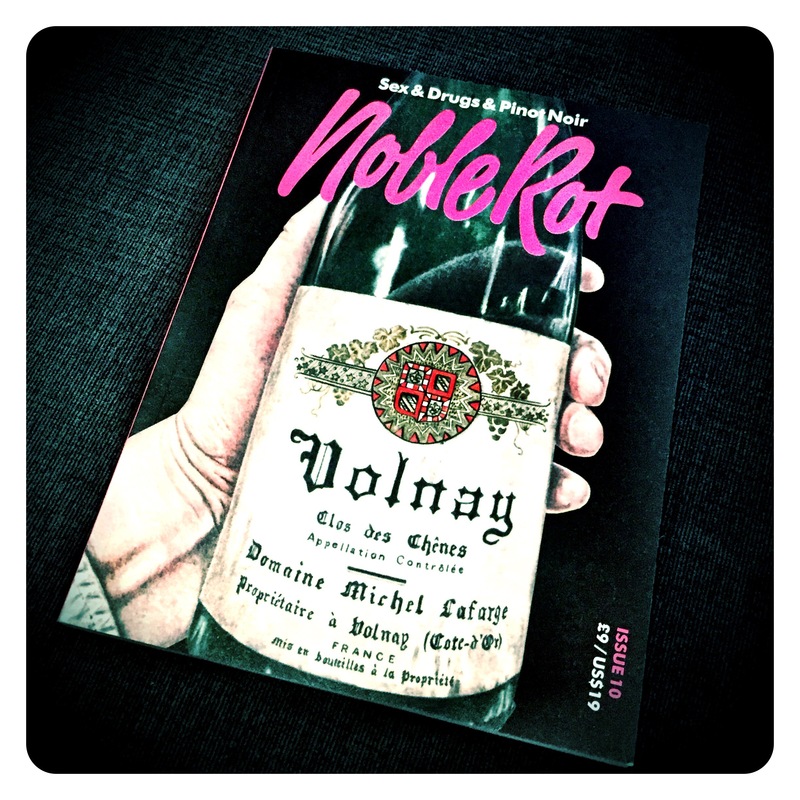 It’s a mild Autumnal October evening and I’m sitting on the sofa reading issue 12 of Noble Rot magazine while my cod fillets gently grill in the oven. The magazine this month is almost entirely devoted to the worship of everything Beaujolais and the Gamay grape. 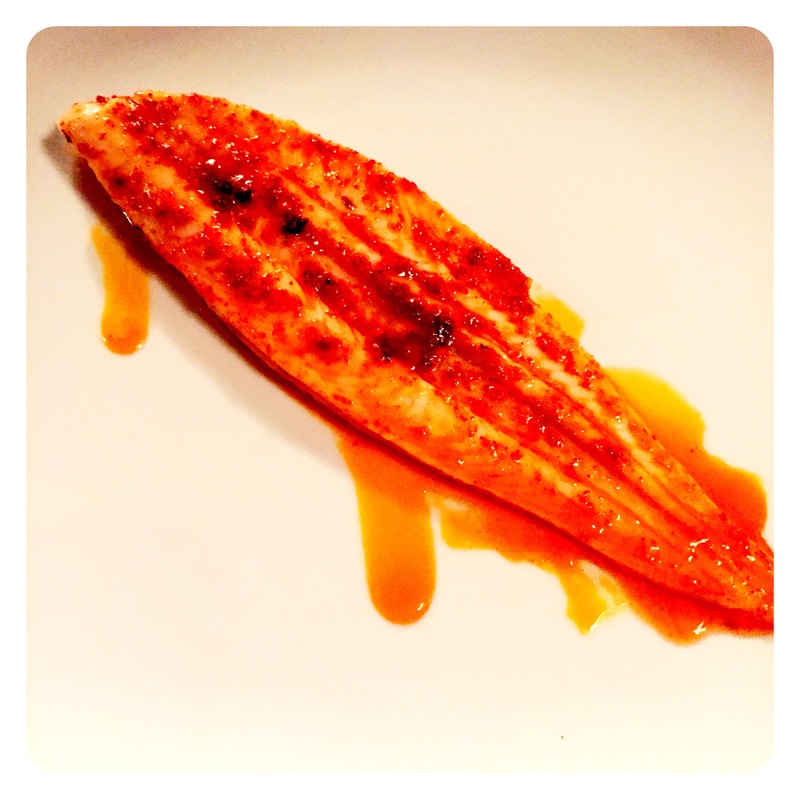 But tonight I’m drinking something altogether different… a bottle of Francois Mikulski’s vieilles vignes Aligote 2014, the perfect match to my grilled fish. 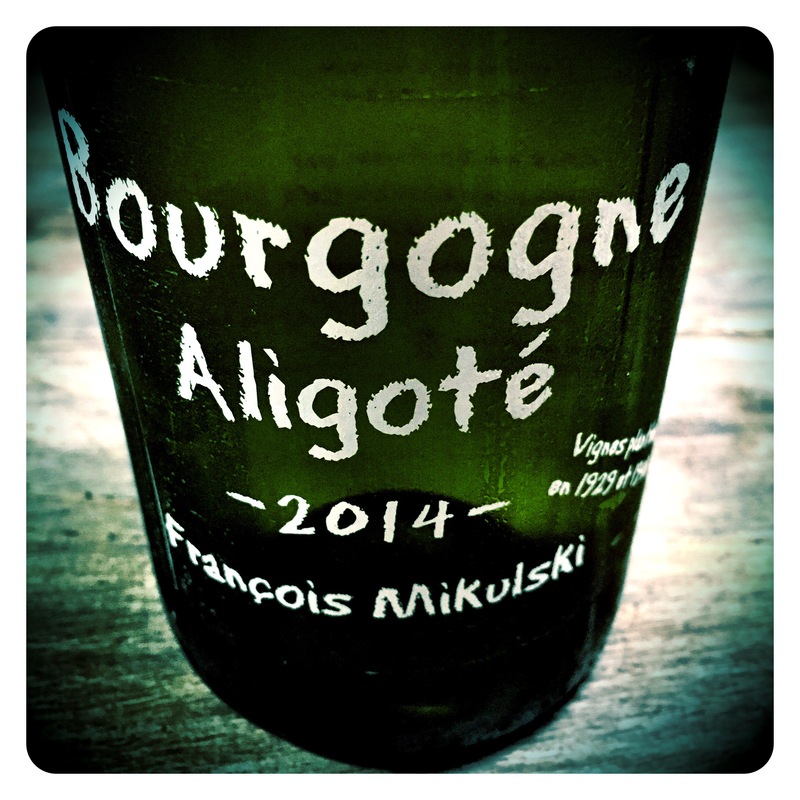 But like Cru Beaujolais, or even the humble Gamay grape, Aligote has wallowed in unloved obscurity for decades. I remember only a few years ago, wine merchants would be forced to buy 120 or 240 bottles of Aligote, just to get their village and 1er Cru allocations from these well known growers. The clever merchants pumped the fresh, vibrant Aligote wine stocks out immediately, on low margin offers, so as not to be left sitting on unsaleable, ageing Aligote 12 months later when new stocks would yet again be thrust upon them. 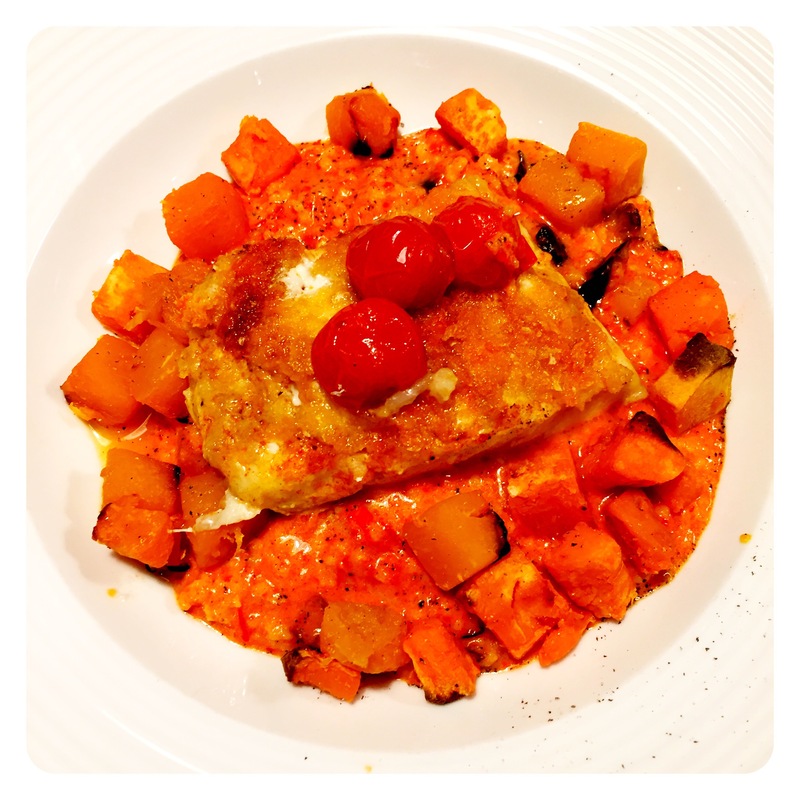 My lovely cod fillets with panko crumbs on a bed of puréed Romano Peppers and grilled butternut. Oh how times have changed. Most merchants now sell out En-primeur of their top domaine Aligote whites from growers including Lafarge, de Villane, Ente and Mikulski. Like the mood and demand for Beaujolais has exploded in the past couple of years, so too has the thirst for low alcohol, fresh, vibrant, domaine bottled, old vine Aligote whites. Beaujolais, Bouzeron, and their representative grapes are back in fashion and back in demand in a big way, and thankfully for consumers, they are all still, for the time being, properly affordable. So I say… buy, buy, buy!! Greg Sherwood MW is a London based South African Master of Wine and Fine Wine Buyer at Handford Wines in South Kensington. He is a regular judge at the Decanter World Wine Awards, SA Top 100, Nederburg Wine Auction and WOSA World Sommelier Awards, and tastes many of the world's finest wines every week. Join Greg on a safari into wine - you might even spot a few unicorns!